I'm looking for a Poker II with clears and a Tex aluminum case with a lip. I guess that's the older style. I don't care about color. Let me know what you have. Shipping to Canada OR I can proxy to a buddy in Tennessee who is coming up soon. Old stuff hidden for posterity. Don't bother reading unless you're bored. Shipping from Canada. It takes longer, costs more (both ways! ), and requires a customs form. I'm happy to ship within and outside of Canada. I'm friendly, so, you know, things. 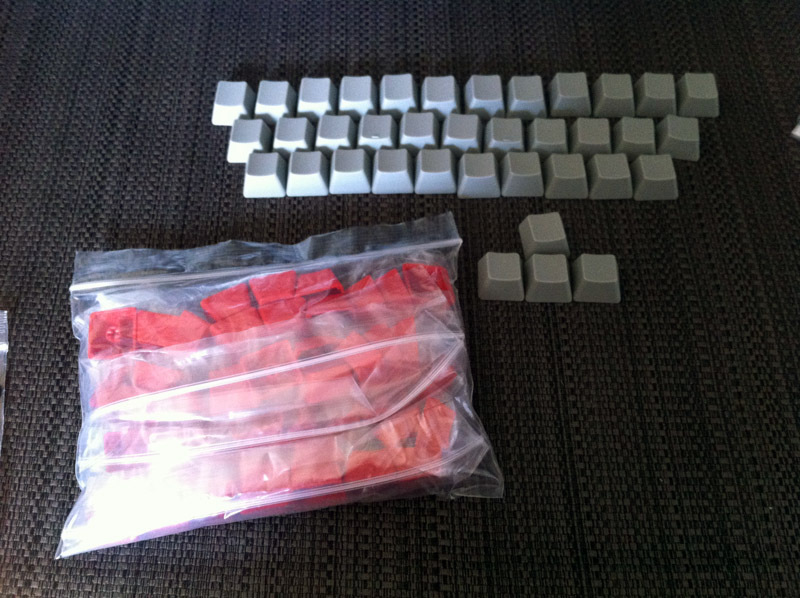 Topre Control/Esc kit for HHKB - $30 + shipping/PP fees - Lightly used set (only red blank Control was used) of HHKB blue/red modifiers, with the most amazing keypuller known to man. It'll scratch caps like nobodies business! Be the coolest kid on your block with a BLUE Esc key and a red Control, you commie. Poker stock caps with color mods - $30 + shipping/PP fees. 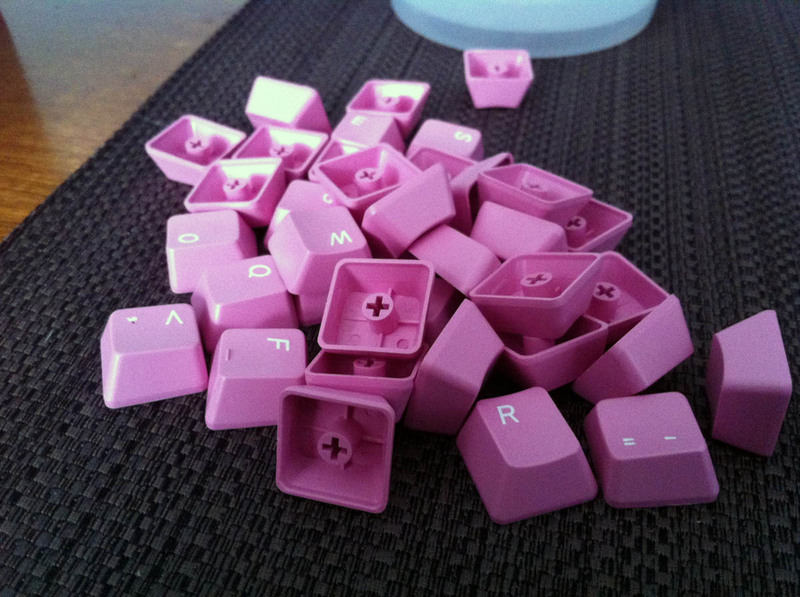 Easily the best keycaps ever. So good, I can't stand to keep them. They're super thick, OEM profile, with a wonderful font. Just the best font ever. The font was so good, they couldn't be troubled to put it on the thick PBT color mods they shipped with the initial sets. If it's not clear, this is a set of caps for a 60% board and have markings for the Poker II board, of course. Long shot, I know, but... come on. I'm cool. Help me out. I'll take those light grey wasds off your hands. Shoot me a PM with your infos. IMSTO dye-sub thick blue keycaps - $60 + shipping/PP fees. TKL set of thick PBT keycaps. The space bar does have that famous PBT warp and I found that it does NOT like being on in a non-flipped configuration on Cherry stabs. Doesn't seem to matter on the Costar stabs (pictured as non-flipped on Tex board and works fine). Price does NOT include Tex Yoda or black keycaps (or for that matter, my iPad, desk, WoW cards, etc. - just the blue caps, smartass). I must again reinforce, this is a TKL set; this does not include the numpad, which isn't even pictured. Why would you get the idea it's there? Man, straighten up. Poker suit modifier keys - Pending $10 + shipping/PP fees. 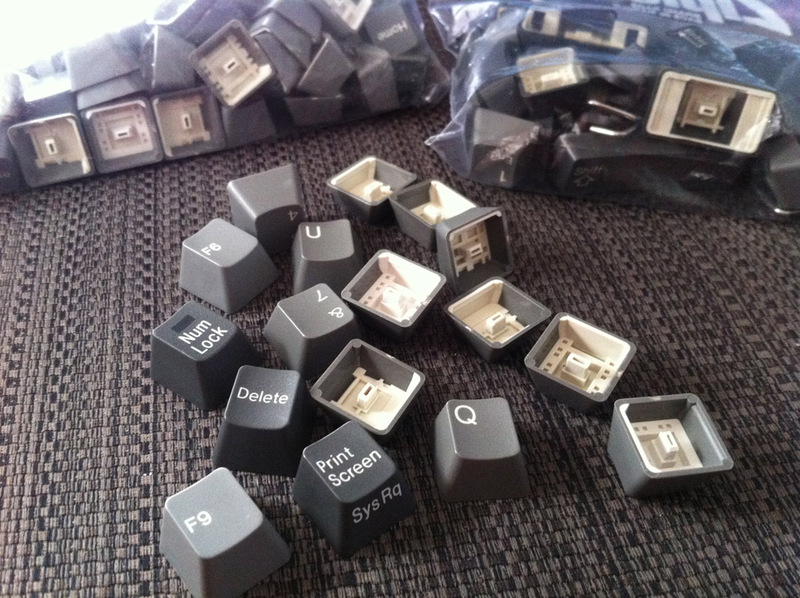 They're keycaps. With the suits from a deck of cards. They're doubleshot ABS. They are Cherry profile. They exist. No shine. Never used. Leopold FC660C - $165 - In used condition. The legends have worn, as is typical with this board. There is shine on the bottom-right area of the space bar. Apart from that, it still functions perfectly. Topre switches, for those uninitiated. 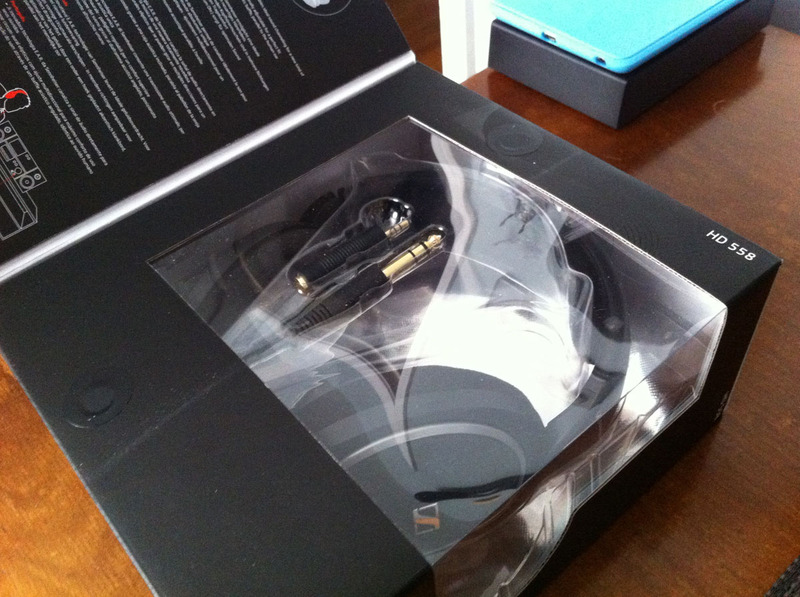 Full retail packaging, including USB cable. FC210TP - $37 shipped - Purchased from another GHer who said he never used the stock caps, which do appear new. Since I've bought it, it's been unused as I've not found it as practical as I though, given my desk arrangement. PBT caps, Cherry MX brown switches. This is a model that outputs number row codes. Tested with Aqua Key Test. CST Trackball - $80 shipped - Basically new CST trackball (model: CST2545W-RC) that I really couldn't adjust to. Thumb trackballs for the win. Full retail package with installation disc. Cherry G80-8113LRBUS - $50 shipped - PS2 board with USB adapter included. Trackpad is tested and working, but the credit card scanner is untested. Tons of relegendable keys if you fancy that. Otherwise it appears to be lasered PBT keys in ISO. Cherry MX clear switches, which feel great. The board is in pretty good shape, but there is a small discoloration on the left trackpad button and the Enter key is worn. I had the board completely apart on receipt and cleaned it really thoroughly (case, trackpad, keys, cable, etc.). Getting rid of it because I have no use for a full-sized board (Poker II / HHKB Pro 2 guy here). 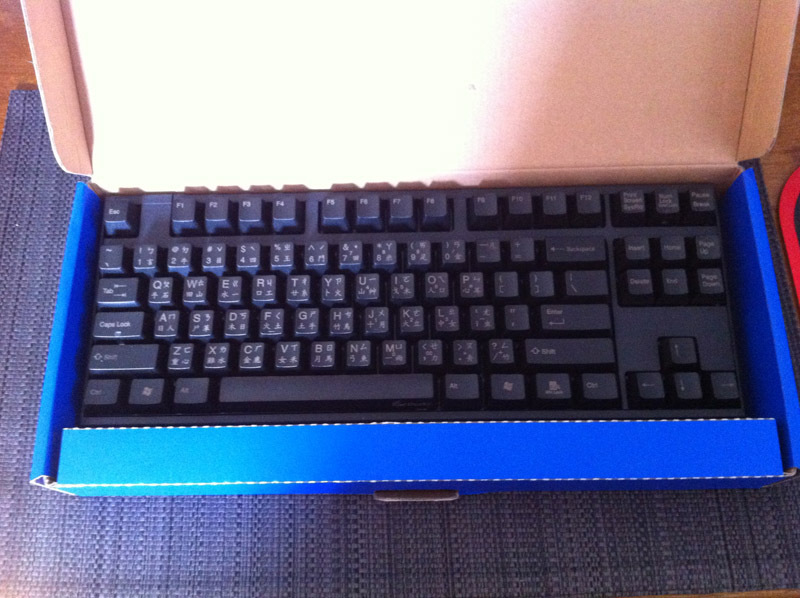 Filco Majestouch Ninja MX blue - $130 shipped - Full-sized board. Bought last year and used as my main board for about three or four months and then I got the hankering for a 60% board. It's been in a box since. I swapped the caps out after I had it a short while, maybe a month, so the stock ABS caps show some light shine on some keys, but not too much. 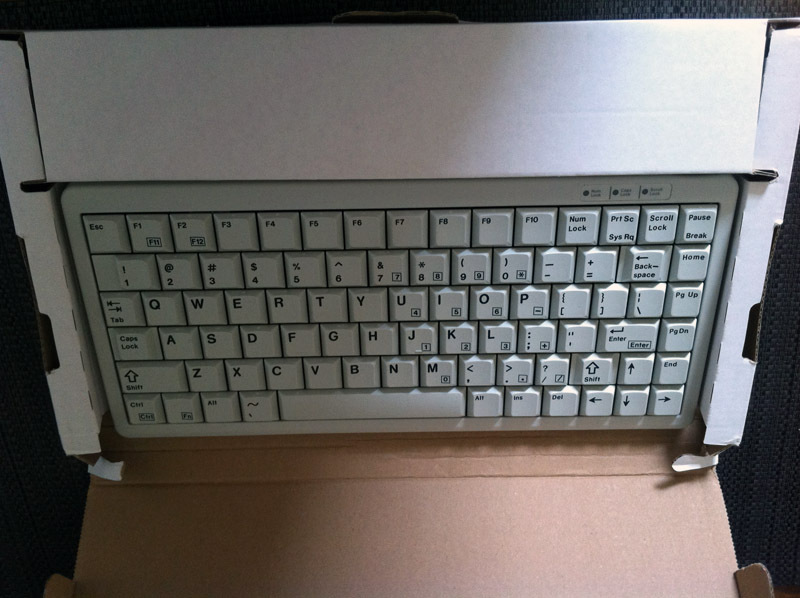 Will come with the full retail box (though a bit worn), PS/2 adapter, plastic keyboard roof, and the keyboard itself. Will not have the keycap puller. Asus HD 7850 2GB - $90 shipped - Full retail box and packaging; all accessories included. Bought used, but the original owner claimed only to have gamed with the card and never mined. Given the age of the card, it is likely still covered under warranty for at least another 1.5 years, though I have no original receipt or invoice. I used this card in tandem with the card below in a CrossfireX setup for about a month. Will package with the other HD 7850 if purchased together. Asus product page. Asus HD 7850 2GB - $90 shipped - Full retail box and packaging; all accessories included. Bought new 04/12/2013 and still covered for another ~2 years under warranty. Never used for mining and use primarily for desktop applications and gaming. Asus' warranty information isn't clear about warranty transfers (though everything I can find indicates they're based solely on serial numbers), but I would be happy to provide a copy of the invoice of purchase from Newegg. Used with the above card in CrossfireX for about a month and solo for the other 11 months I have had it. Will package with the other HD 7850 if purchased together. Asus product page. Used on a Filco for about a month before I decided to go back stock on the board. They show no sign of wear. 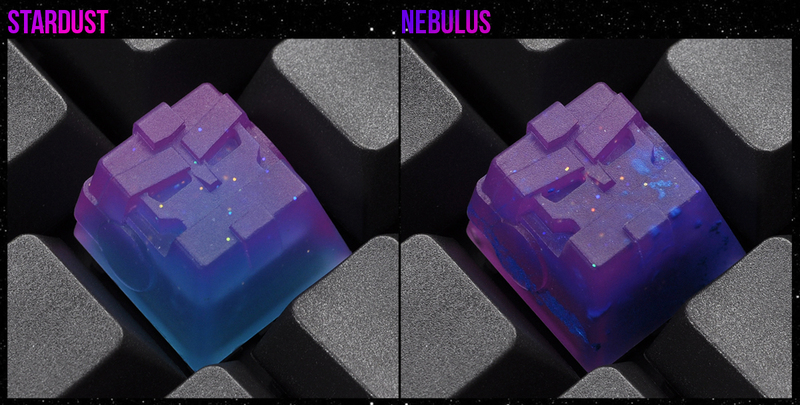 Will come in the original box if you like and with the pictured keycap puller. MX stem. Pictured rightmost in the photo. Another cool artisan cap that doesn't really jive with my keycaps or aesthetics. I had this on my HHKB on the Esc key stem and loved it there, but it just looked really out of place at the end of the day to me. Topre stem, of course. Pure aluminum case - $60 $55 - Bought from a Geekhacker a few months ago for my Poker II. I shaved the stabilizers on my Poker II to get it to fit in the case and wasn't totally satisfied with the results. The plate sticks up at the back. I'm unsure if this is just my Poker II or if it's all Poker II that will exhibit this behavior. It fit, but it wasn't what I desired, which is a shame because it is a nice case. 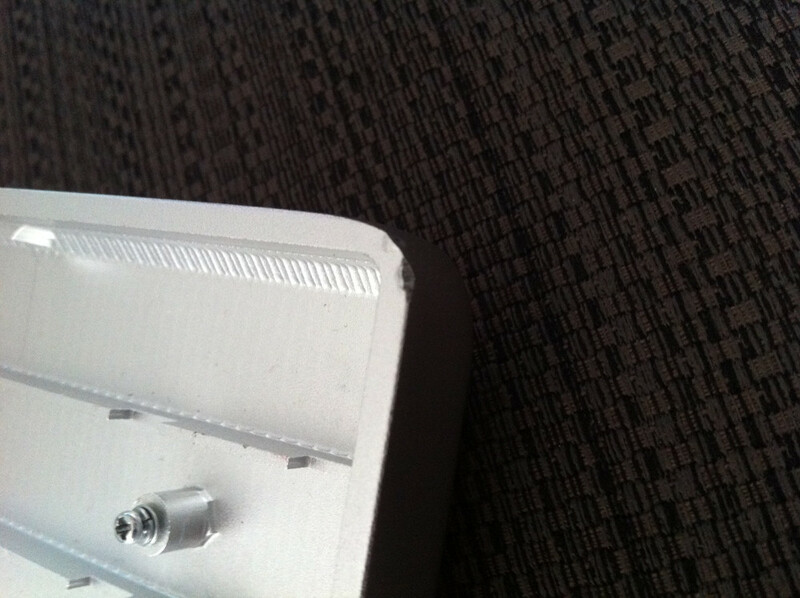 There is a dent on the upper-right-hand side of the case and was like that on receipt, which the seller pointed out. Asking what I paid plus shipping. Also, here is a picture of the back. Green Tai Hao set - $17 - Doubleshot green Tai Hao set with both spacebars (7x and 6.25x). Never used. All keys accounted for. OEM profile (e.g. Filco, Cooler Master, etc.). Red Tai Hao set - $17 - Doubleshot red Tai Hao set with both spacebars (7x and 6.25x). Never used. All keys accounted for. Keyboard in photo is not included (but for sale, too!). Not pictured are the additional caps, but they will be included (additional modifiers that originally shipped, 7x space bar). Awesomeface MX - $1 - Doubleshot awesomeface in yellow/black. Chocobo MX - $1 - Doubleshot chocobo in black/yellow. WASD modifiers MX - $8 $6 - Collection of ABS modifiers that was used on my DAS Keyboard and purchased new from WASD Keyboards. Includes left/right shift (green), 1 red 1x, 2 blue 1.25, 2 red 1.25, 2 black 1.25, 3 yellow 1.25 keys. Used for about four months, but no obvious shine apparent. Black-on-black PBT MX set - $40 $35 - Bought for the SO and used on a Filco Majestouch for about a month before she requested I change the OEM keys back over. Pictured on a Filco Majestouch, which is NOT included in the price. No evident shine and in used, but like-new condition. 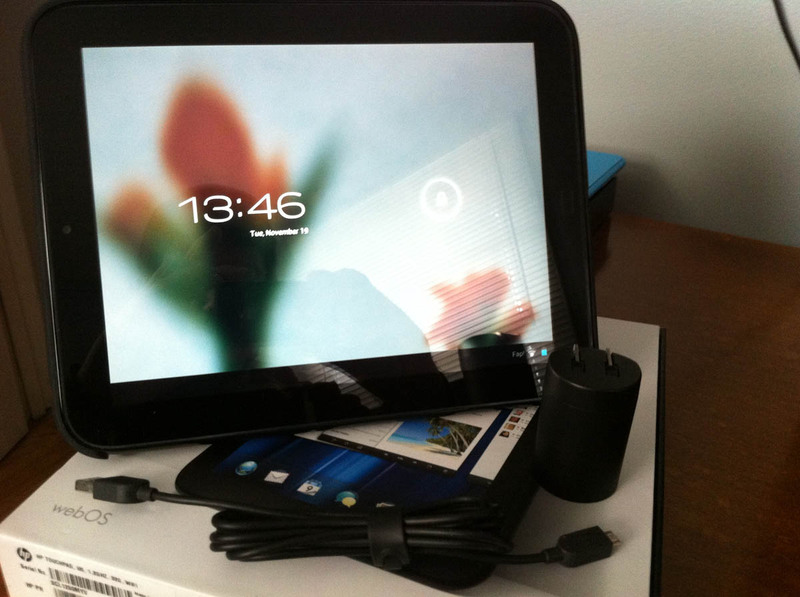 Nexus 7 (previous generation) 32GB wifi, Pic 2, Pic 3 - $140 $130 - Like new shape. 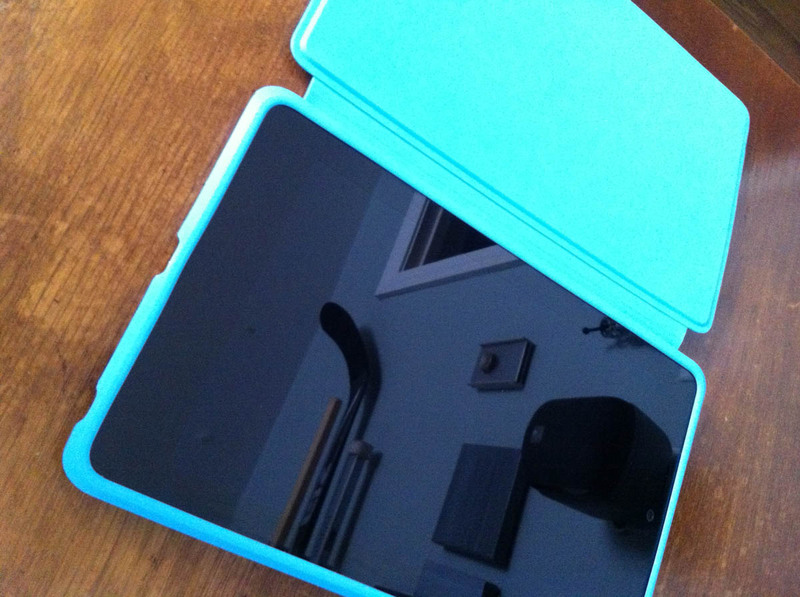 Box included and blue silicone cover. Fully updated to KitKat prior to shipping. 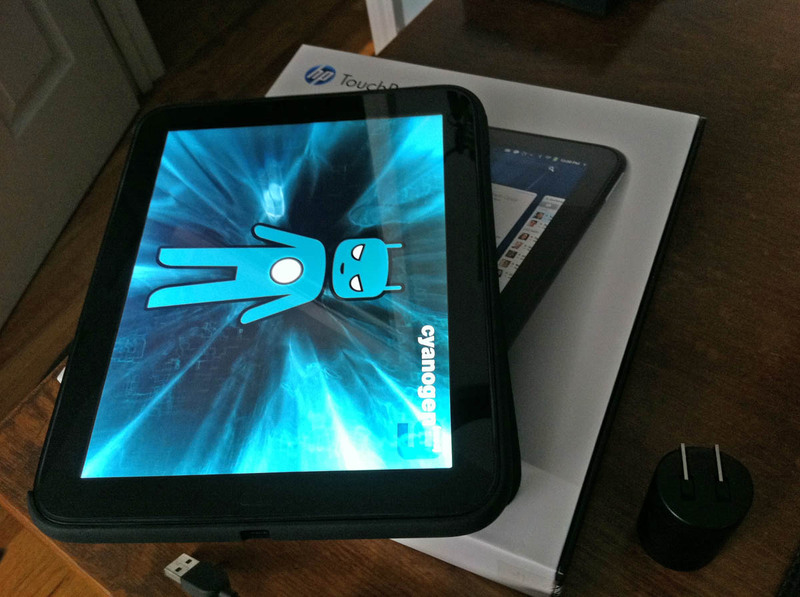 HP TouchPad 32GB Pic 2 - $ Make offer - Purchased during the fire sale, put Android on it, played around with it, and then, well, nothing. Full retail packaging and HP-branded case. I'll wipe it before I ship, which will mean it will only have whatever version of WebOS is out now. Pink pad-printed 37-piece set - $6 - New and unused. Never so much as graced a board of mine. I wish I could tell you why I had them. Random caps from bag of crap - $10 - I received these from another member here, kept one or two caps, and have a lot of weird stuff left over. Mostly MX, good collection of doubleshots (a few RoW, CC, WoB), oddball stuff, and some ALPS. Nothing too great, but would be good if you have some weird keycap project to kick off. Not sure how many there are, it'd fill a ziploc baggie of normal size easily. Cherry ML4100 USB - $18 - ML, new in box, typed on it a few minutes and decided it wasn't for me. Fiio E07K "Andes" DAC/Amp - $75 - Bought new in March and used for about a month at work around 2 hours a day. It's been in its box in my desk since. All accessories (felt bag, 3.5mm connector, rubber case, screen protectors, etc.) included. Works with the E9 and will sell as package for $130. 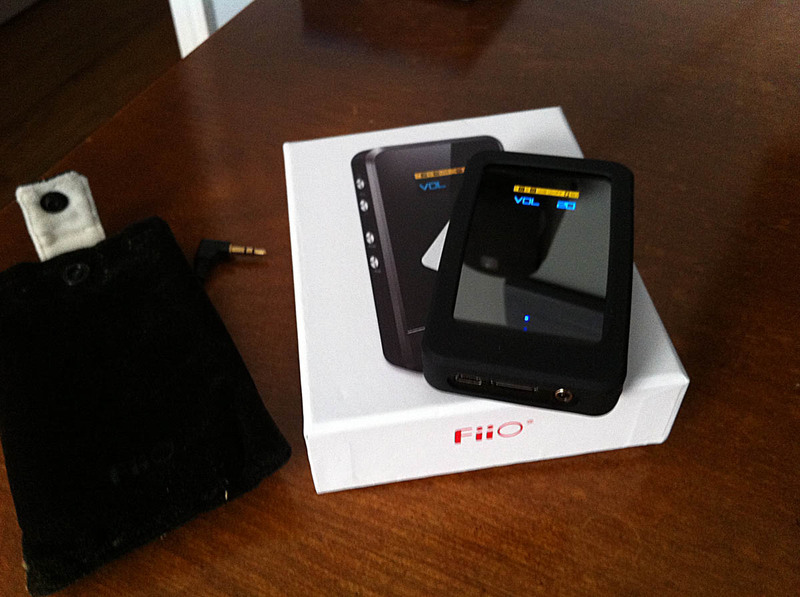 Fiio E9 Amp - $70 - Bought and used for about four months with my iPhone dock. Like new condition. Will ship in original box with power adapter. Works with the E07K and will sell as package for $130. 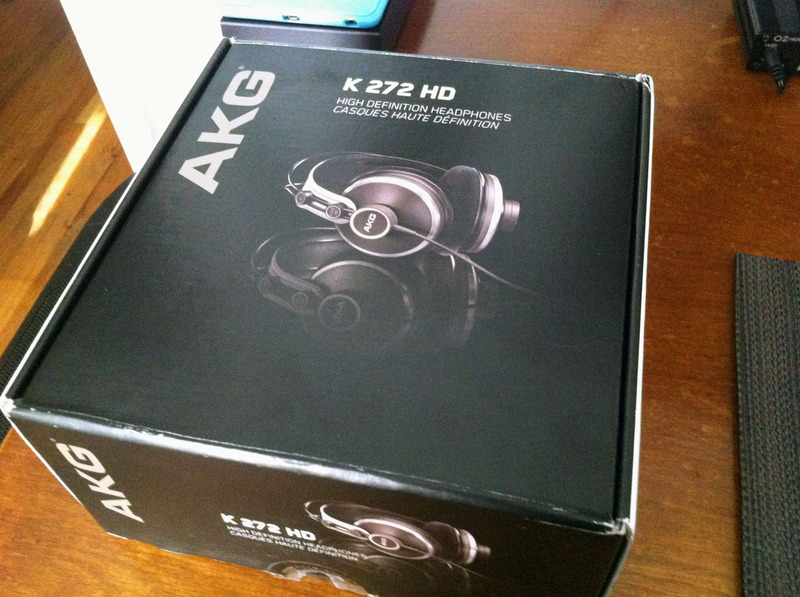 AKG K 272 HD, Pic 2 - $115 - Bought new last year during the height of my headphone craze. Listened to these for probably 20+ hours, but never felt quite right about them. Great for classical music and they don't sound like closed headphones, despite being closed. Need some proper amplification (buy my amps below!) to sound great. Full retail box (corners are a bit worn). 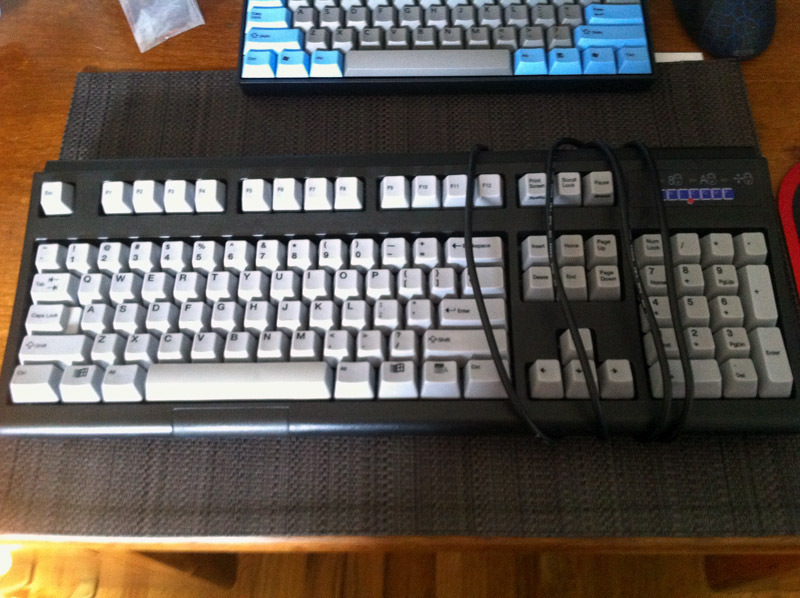 Siig Mini Touch AT - $55 - This keyboard is in near perfect shape. The only thing I can see is "wrong" with it is that it's missing the badge on the front, which obviously doesn't impact performance in any way. Lovely sound and functions perfectly. Ortek MCK-84 AT - $45 - Oddball keyboard, similar to, but different from, the Siig Mini Touch. Has a bit duller, more solid sound compared to its distant cousin. I loved this keyboard quite a bit, but it must go! The only issue with this board was that there was a small ink stain on the space bar. I removed about 90% of the stain, but some of it wasn't removable without possibly causing damage. It's only noticeable if you stare right at it. Bingecap Keythulhu MX - $15 - Purchased originally last Halloween. Hung out on my Poker II for a while until I replaced it a few times over with other Keythulhus. Translucent Pink Gasmask MX - $15 - is there a description necessary? It's a translucent pink gasmask. Never used and in like-new condition. Metal "skull" MX - $4 - Bought from eBay a year or so ago. Never used. Blue MX keychain - $3 - Blue clicky MX keychain. Never used. Pictures of both the Ortek and Siig here. Sennheiser HD 558 - $95, $90 $80 - Bought new in December 2012 for home listening. 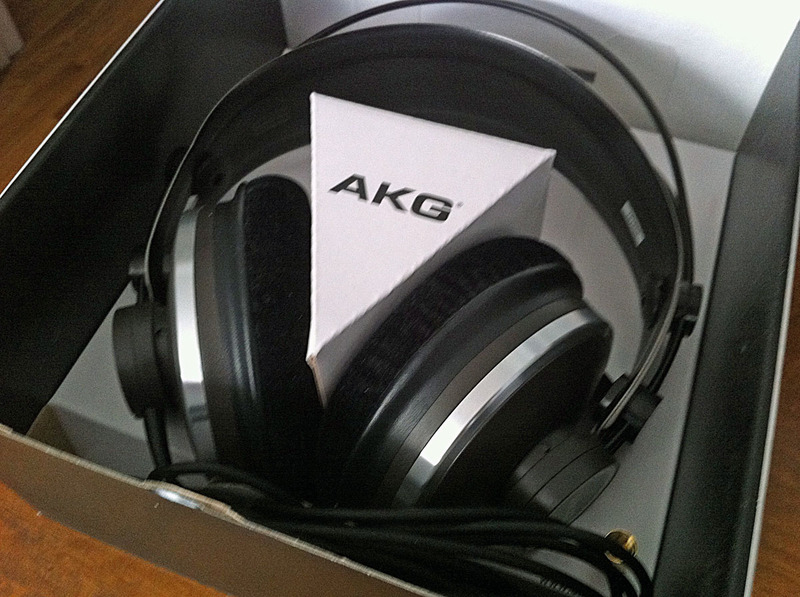 I have listened to these headphones for probably 100+ hours and they were my favorites. Recently replaced with the HD 600, which renders these redundant. They still sound great and the earpads show minimal wear. They sound great without any additional amplification, so they're good to use with portable devices (keeping in mind they require a 1/4" to 3.5mm adapter, which is included). Full retail box. Kensington Expert Mouse Trackball - $45 - Bought new last fall and used collectively for about three days before I decided I couldn't do it. Thumb trackballs are for me. In full retail packaging and in like-new, but used condition. Koss ProDJ100 - $30, $25, $20 $15 - Bought these new last year on a whim. Great headphones once you give them a bit of juice (especially at the price - Jesus, people, I'm asking $15!). They're in like-new condition with minimal use and the pads are in perfect shape. Found the box! Rosewill RK-9000I - $70 $65 $58 - Cherry MX blue switches. Received as a trade from another Geekhack member. Never used by him and never used by me. I was going to give it to the better half, but she has another keyboard situation now and so it's sat unused since I received it. Will not come with the pictured red Tai Hao caps (I installed them to lure the SO to the board... it almost worked), but will come with original black/white ABS printed caps. Pictured in the middle of the photo. Asking what I paid, plus shipping to you. I love this cap, but it doesn't really mesh with any keycap sets that I have right now and I'm prioritizing functionality over aesthetics. I have owned several of Binge's Keythulhu caps and this one is gorgeous, as with his others. Cherry MX stem. Binge's page for the keycap. Pictured leftmost in the photo. Asking what I paid, plus shipping to you. This has been my favorite of the Keythulhu's I've owned, but as with the brass, I have no keycap set that matches it well. Cherry MX stem. Binge's page for the keycap. FC660M MX brown - $80 - Received in a swap from another Geekhack member last year and used around a month at work. Some of the most-used legends show some wear such as Ctrl and C (I copy and paste things a lot at work). These caps are known to wear quickly. Apart from certain keys (Ctrl and C are the most worn and appear as in the last photo), everything else about this board is fairly pristine. Will come with full retail box, USB mini cable, and Leopold information card. Additional photos available on request. Radeon HD 4850 512MB - $20 shipped - Used Radeon HD 4850. Tested and working as of a few weeks ago. Pulled from a setup I used a few years ago. Not too much more can be said about it. It's a video card. It has DVI / VGA. It works. Probably would make Minecraft look amazing. Poker II - $100 - Used, but in like new condition. The original caps and case were taken off upon receipt and replaced, so they were never used. 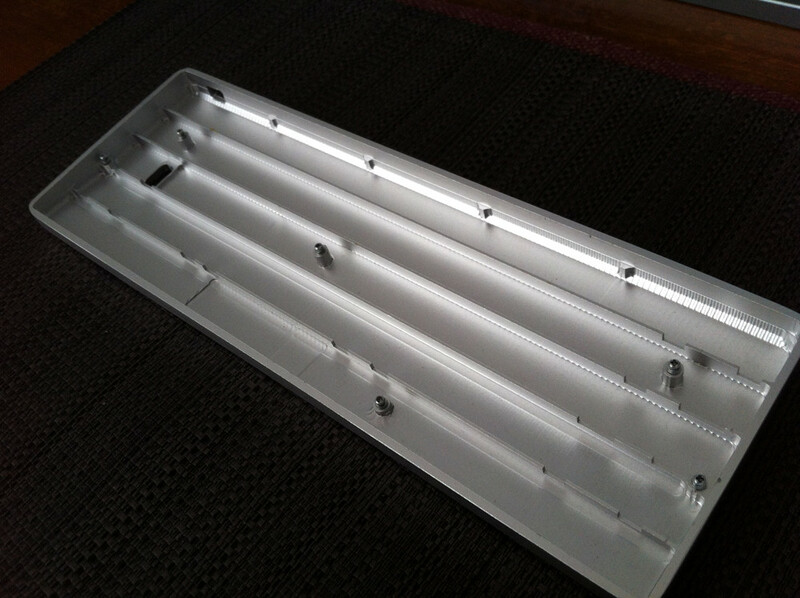 This is a (obviously) white Poker II with MX Clear switches and no LED backlighting. Full retail box with keycap puller, USB cable, and colored mods (not pictured). Gunnar gaming glasses - $22 - Yellow-tinted. Used these for about a day before I found that I did not like them. Since I'm also a genius (! ), I bought another pair that were clear that were never used. See below! Full retail box, with cloth carrying bag. Style listed as Emissary z, with graphite frame, and amber lenses. Gunnar gaming glasses - $22 - Because one wasn't enough, I bought these at the same time as the yellow pair above. Never used. Full retail box, with cloth carrying bag. Style listed as Phenom z, with graphite frame, and crystalline lenses. TP-Link TL-SG2452 - $220 shipped - Like new TL-SG2452 48-port switch. Bought from a local small business and it was, to the best of their knowledge, not used. It was opened when I bought it, but everything was still factory wrapped (power cord, manuals, etc.). I opened and tested it (several ports), logged into the interface, and verified that the firmware was updated. Everything worked fine. Not ideal for my use since it has a fan and I don't yet have a networking closet. Full specs page from the manufacturer. Ducky thick PBT - Yellow - I must stress, these are yellow despite the color in the picture. I cannot color correct this at the moment. They're yellow. Think banana, but MORE yellow. OEM profile. Full set. Thick. PBT. 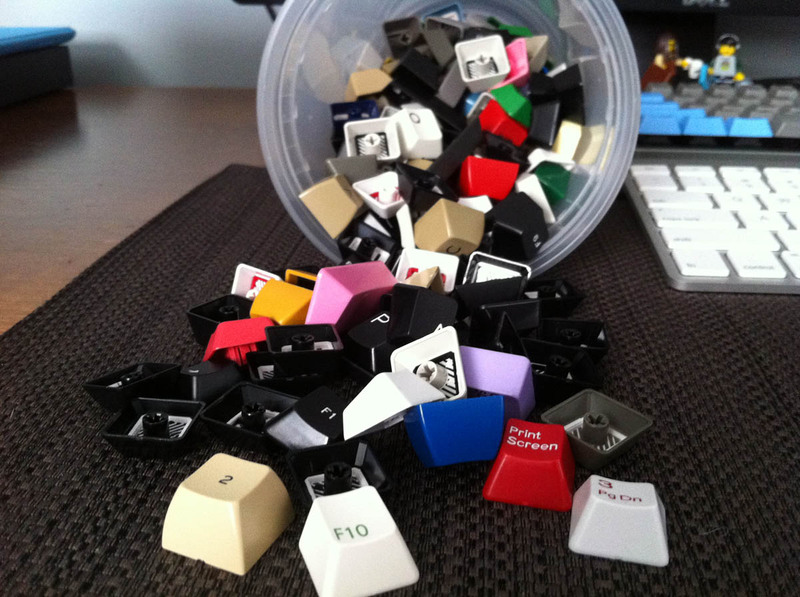 Keycaps. Dye-sublimated legends. What more do you need to know? IMSTO (?) thick PBT dark grey/light blue 60% set - $40 + shipping/PP fees. Be a part of history! I bought these from Havlerson a million years ago. WYSIWYG, except for the HHKB. You don't get that. Esc? It's a pirate girl with her tongue out. Legends? Dye-sublimated. Thickness? Thick. Plastic? PBT. Space bar? Somewhat PBT-warped (usable, but there is a SLIGHT warp in it; certainly not as bad as most). If you buy these, I will give you a high five next time I see you. No shine. Topre V2 Army Man Green - WTTF MX V2 Bro. Will consider any color, but would dig something in the red spectrum to match a set of caps I have. Hit me with a PM or respond in thread! I do not wish to sell this. Shipping will be from Canada, so please take that into consideration. You will have to ship here, too. It takes a bit longer and you have to fill out a customs form. Not a big deal. Would like to give a shoutout to slip. I bought some novelty caps from him, and not only did he ship it immediately, he added a little gift and a nice handwritten message. Pretty interested in that DAS ultimate s, think I sent a private message, but just joined geekhack tonight after being a guest for far too long, so not sure I did it right yet. If not, send me a message and will see if we can work something out. Can I get a pic of the other side of a few of those cherry DS keys? Hey, thanks for the kind words! I have had great experiences here so far with my interactions, questions, and purchases, so I figured I would spread the love around a bit. 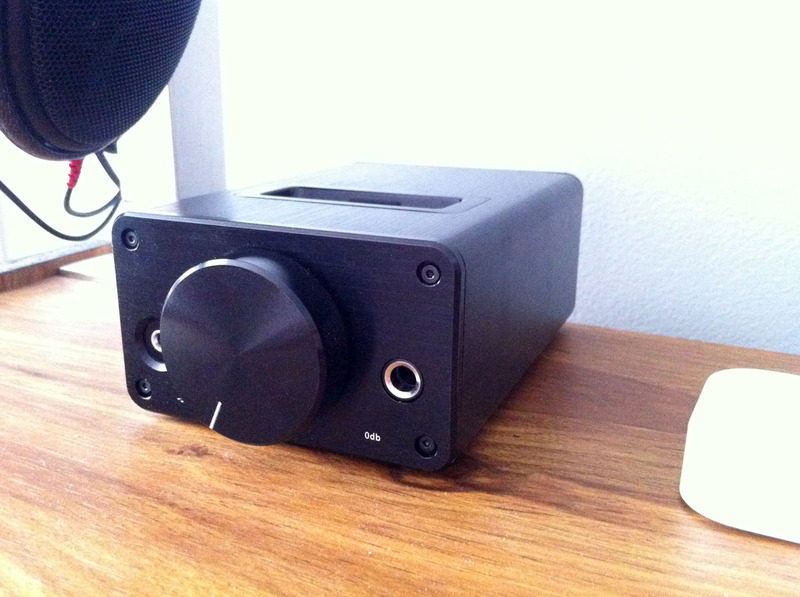 The thread has been updated with a few tablets, amps, and a DAC. The sold list was also updated. 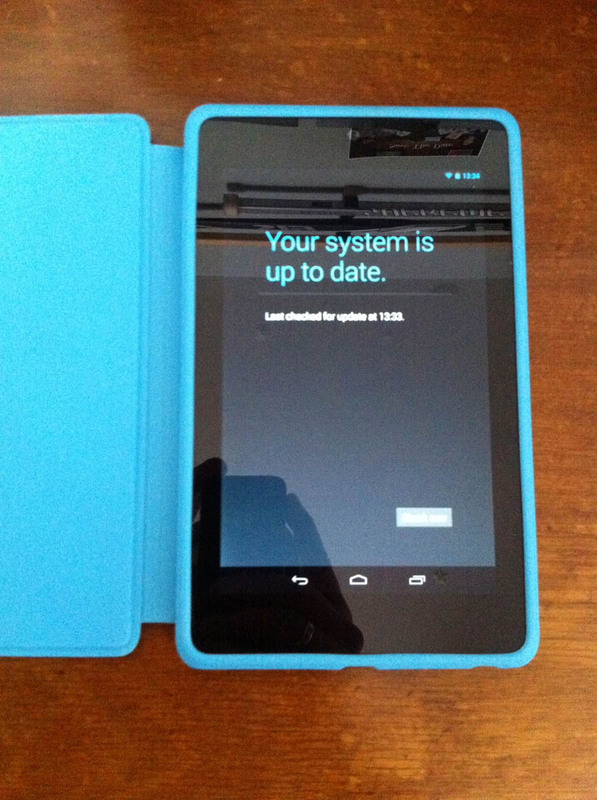 How old is the Nexus 7? I had the misfortune of buying it just long enough before the release of the new 2013 model where I was outside of the return policy. I want to say I bought it late April or early May? I would have to dig for the receipt. It's cosmetically perfect. 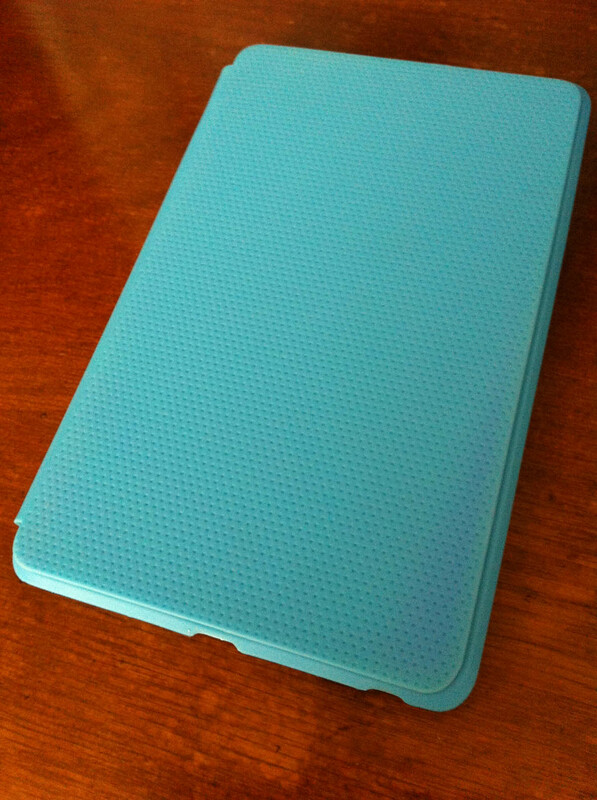 I used it a day or two before wrapping it in that case and the case is also cosmetically perfect. The few trips it's made with me outside my house, it's been in a padded leather bag. It's had an easy life. Thanks, I appreciate it. The vet bills have already started to add up and it's only been tests. I've already burned through all the money I made selling the bigger part of my keyboard collection. Argh. Dogs. Oooo I'm really curious about that Cherry ML4100. What do ML switches feel like? The throw is really short, given the profile, but they're almost comparable to browns in some ways. They feel a bit heavier, though. They're really not too like Cherry MX switches at all, honestly. However! You could find out for just a few bucks. Buy, buy, buy! Post-Thanksgiving bump and good(ish) news about the pup. I have a lot to be Thankful for this year. Just updated prices, added some pictures, and drug this up from the deep. The Ortek is a very nice keyboard that I last used a damn long time ago. but back then I never thought about switches. Is it alps? Back from business travels bump! One final bump to move the remaining headphones and then I will run them over with my car in a fit of anger. Or not. Hit me with a PM if you have interest in something and maybe we can work something out. I'm just selling off the last of my spare stuff. Spamray, you should take them off my hands! Would you be willing to ship internationally? What are you thinking about? My experience with shipping internationally has ranged from okay to downright horrible. Let me know what you're looking at. Location: SF Bay Area, U.S. I'll take the aluminum Pure case and Translucent Pink Gasmask MX. I hit you with a PM. Today's flavor of bump is mint chocolate chip. Tasty! Buy something to celebrate! Will the black on black pbt keycaps fit a QFR? sorry I'm new to mechanical keyboards. I don't see why not. If it's a normal Quickfire Rapid, it has 1.25 mods and no weird key layout that I'm aware of. After looking at a picture, the only concerns I would have would be for scroll/caps lock since the original keys may be windowed. And of course any backlighting going on would be mostly obscured since these are not designed for backlighting. La-la-la-bumpa, baby! 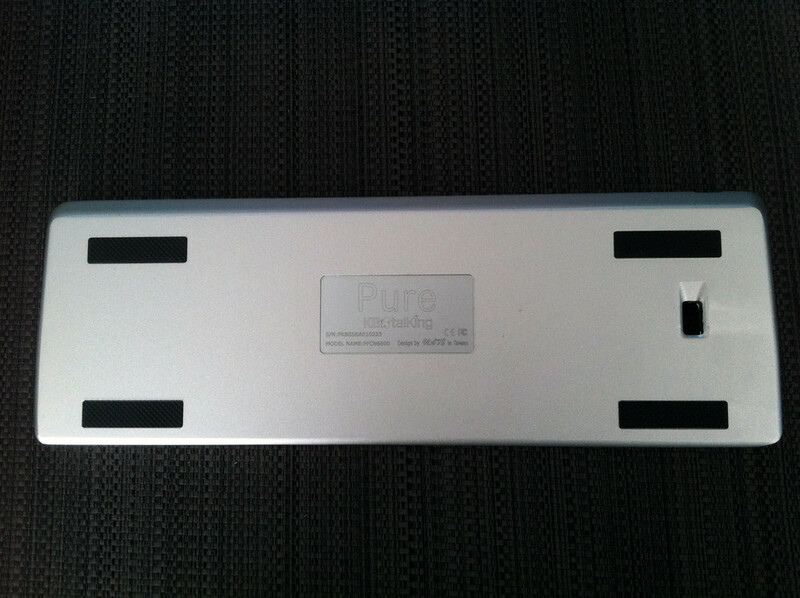 Pure aluminum case isn't pending right now, so if you're interested, let me know! Bump for the new computer components and in hopes someone finds what they're looking for! Going to give this a late-night bump for all you night owls. Price on the two video cards dropped... and a bump! More price drops across the board. Gotta get rid of some of this stuff. How much shipping to Ankara-Turkey? I could only imagine shipping this switch to Turkey would be pretty ridiculous for the value of the switch. If you really, really want it, I could figure it up, but as stated in the original post, I'm really only wanting to do CONUS at the moment (meaning the lower 48 United States). 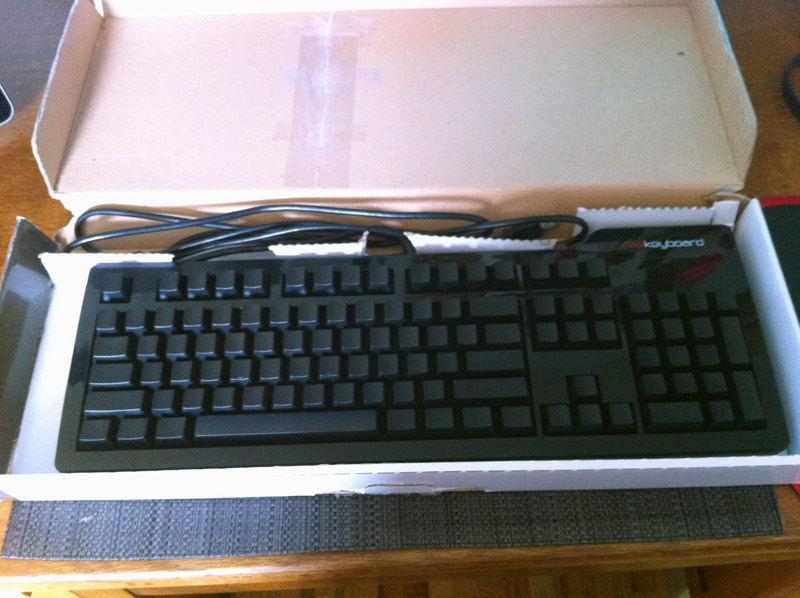 New items added - Rosewill board, Tai Hao red and green keycap sets, HD 4850, and Logitech headset. Willing to group up items and sell at a reduced cost. Hit me with a PM! What switches on the Rosewill? Oops! Knew I forgot something. MX blue. Will update the OP. interested in that red Tai Hao set! Shoot me a pm with where i can send zee paypals! PMs answered and anything bought last night has been shipped. Going to give this a bump. Some price drops on a few items. I'm willing to wheel and deal here, people. Make me some offers! I ship quickly (unless I don't) and I'm really, really nice. I might be going to the post today and if that's the case, I could get them to give me a quote on it. I just shipped a aluminum case to England that weighed about 1/10 as much as this switch and the cost for JUST shipping (no insurance, tracking, etc.) was $19. So, if I were to hazard a guess, I would imagine it'll be $30 or $40 easily and probably more than that. Do switches not sell for cheap where you are? And for the mod or mods that added the note, I have removed the Poker set that I still have, but don't have a tagged photo for. They were posted up before the new rules. If anything else needs changed, please let me know. Thanks! Giving this a bump. I'm back home soon and need to clear out some of this clutter.